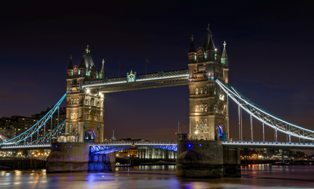 Tower Bridge has seen a rise of 20% in bookings over the last six months from international clients and destination management companies. The demand was seen across multiple industries including Law Firms, IT, Medical, Energy, Engineering and Transportation Companies, predominantly from Europe but also Canada, US, China and Japan. As one of the most famous and instantly recognisable structures in the world, Tower Bridge was originally raised to its eminence in the 19th century as a river crossing that could manage access to sailing ships as well as increasing road traffic. Its Victorian heavy design and giant moveable roadways made it an engineering marvel that became a gateway to London. It seems Tower Bridge remains an awe-inspiring entrance to the city that has spanned generations. In the countdown to the 2012 Olympics, the Mayor of London said ‘the landmark was the perfect choice to showcase what London has to offer’, as giant Olympic rings were installed on the Bridge, displaying one iconic symbol upon another to inspire athletes and unite people around the world. As a venue, Tower Bridge still serves this purpose. Whether companies are organising conferences, product launches or fashion shows, they want to align their brands with London’s defining landmark, a venue that gives guests a unique and memorable experience. Not shy of accolades, Tower Bridge was 'highly commended' in the category of 'Most Prestigious Venue' at the 2018 Prestigious Star Awards, it was named 'Best Unusual Venue' at the 2012 Event: UK Awards and ‘Event Space of the Year’ at the 2011 Event Magazine Awards. In terms of location Tower Bridge is easily accessible via every mode of transport that London offers, be it trains, underground, DLR, the bus, by car or even cycling. It’s also convenient for people travelling in from abroad, only a mere 6 miles from London City Airport, which means just over 20 minutes by car or a similar timescale via DLR. Larger conferences tend to happen at venues such as the Excel centre which is only 5 miles away and client feedback has mentioned Tower Bridge had become their go to venue for post conference dinners and networking events. 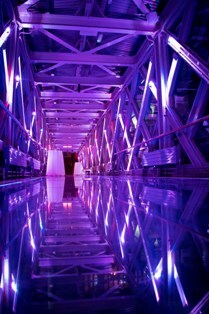 Therefore the Bridge is both in a central and practical location, which in turn adds to its pulling power.